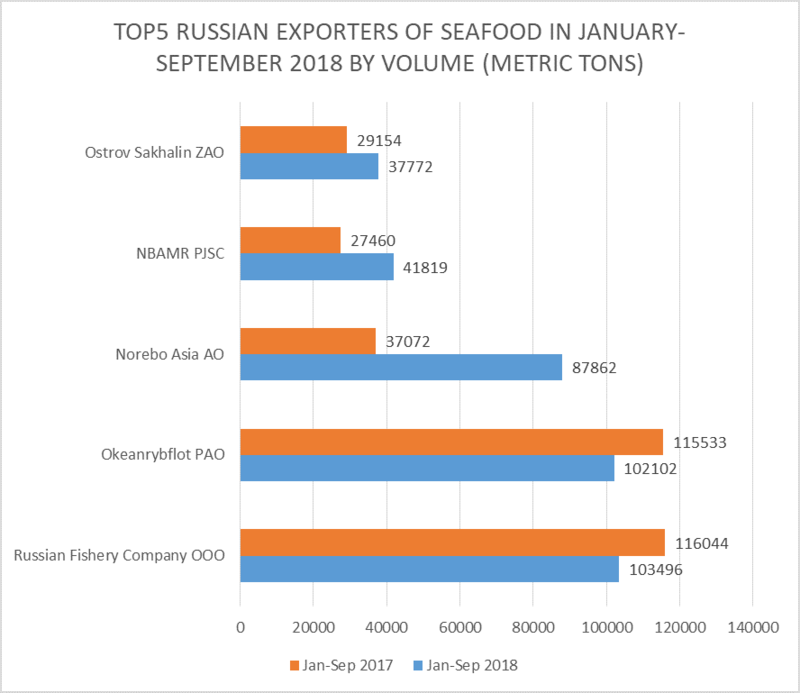 Raw customs data processed by Fishnet analysts show that in the first 9 months of 2018 the Russian exports of fish & crustaceans (HSC group 03) from the customs territory (equal to land + Russian EEZs except for Barents Sea) have increased both in terms of volume and value as compared to the same period of 2017. 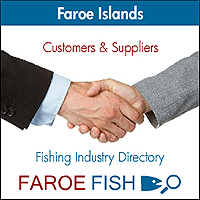 The figures cover all exports except for the catches shipped to foreign buyers from beyond the Russian customs territory in the Barents Sea (from beyond demarcation line with Norway catches are not subject to mandatory customs clearance). 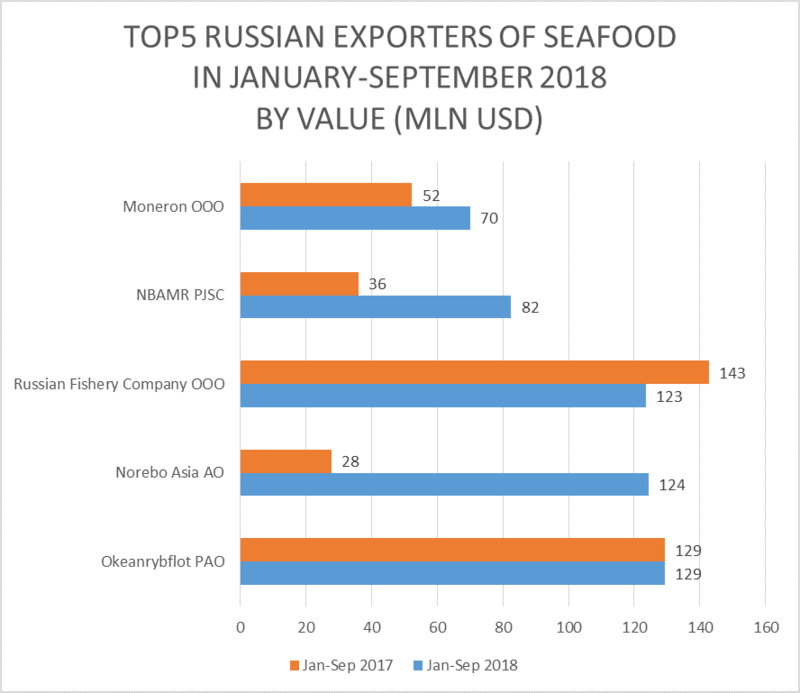 More specifically, in January-September 2018 Russian exports of seafood under HSC subgroups 0301-0308 totalled 2,830.43 million USD rising by 16.67 % on the same period of 2017. In volume the shipments amounted to 1,250,814.63 metric tons (net weight), 2.07% higher than in 2017. Note: the figures cover all the shipments’ volumes as they are stated in customs documents (without conversion to round weight). More detailed information featuring particular products is given in Russia’s Seafood Exports report made by FISHNET and offered for sale here. • Denmark + 134%, mostly cod. • Moldova -82%, ca.50% of purchases – pink salmon. negative for MARINE TRUMP INTERNATIONAL CO LTD, SAJODAERIM CORPORATION, KEUK DONG FISHERIES CO LTD.
• Vityaz-Avto OOO, +382%, mostly pink salmon, sockeye. • Elbrus OOO, more than 2,700 tonnes of mostly flounder, cod and APO.